23.01.2006 – We all know that chess is good for the development of young minds, training logical thinking and concentration. But the game can also be used for other positive purposes. In Tblisi, Georgia, a 51-player charity tournament was dedicated to combating drug addiction. To see the original entry at Chessbase, click here. 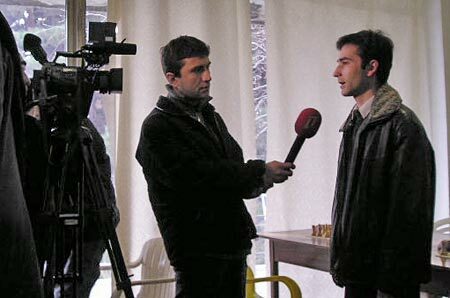 tournament on the Georgian Public TV Channel. Click here to see the Spanish version of the entry.